WASHINGTON, D.C. — The U.S. Department of Homeland Security (DHS), in coordination with state and local law enforcement, will enhance the presence of security personnel over the Fourth of July holiday weekend, but the American people must also maintain vigilance and take befitting steps to increase their security awareness, warns the DHS chief. The American public should expect to see this July 4 weekend an enhanced security presence at airports, train stations, and other transit centers across the country by TSA [Transportation Security Administration] and state and local law enforcement as well as security personnel. 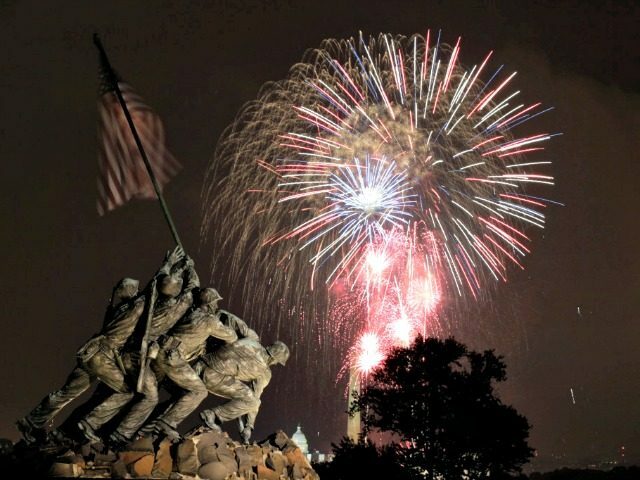 Fourth of July this year falls during the Muslim holy month of Ramadan, a period when martyrdom and jihad are especially valued and encouraged by radical Islamic extremists. TSA, a DHS component, and state and local law enforcement are expected to step up their security measures in response to heightened concern about potential terrorist attacks, testified Johnson. Nevertheless, he urged the American public not to focus their attention solely on security threats to the aviation sector, adding that while terrorists still favor attacking airports, people must remain vigilant in all public areas. My caution is that when it comes to public places and public events, we should not focus our attention on things like airports to the exclusion of other public places [and] public events…. We are concerned and focused generally on public events and public places across the nation and in general we continue to encourage the public to travel, to associate, to celebrate the holidays, to celebrate the July Fourth holiday — continue to go to public events, but be aware and be vigilant. Public awareness and public vigilance can and does make a difference in terms of detecting possible terrorists plots, terrorist activity. The DHS secretary vowed that aviation security would not be undermined by ongoing efforts to reduce long lines at airport checkpoints. He noted that TSA has substantially reduced wait times since Congress appropriated funds to hire more officers. “We will not short-cut aviation security in response to increased travel volume or longer wait times,” he said. Several major U.S. airports are already being monitored by extra patrols this week. Meanwhile, the TSA has increased the number of its Visible Intermodal Prevention and Response (VIPR) squads following the March ISIS-linked terrorist attack in Brussels. However, TSA has yet to make any significant adjustments to its security protocol in the wake of Tuesday’s attack in Turkey, notes The Hill. VIPR squads include Federal Air Marshals, transportation security officers, canine detection teams, explosives detection specialists, behavior detection officers, as well as federal, state, and local law enforcement officers. They are assigned to perform random security checks and prevent terrorist attacks at transportations hubs across the U.S. Experts have acknowledged that it is common for terrorist organizations like the Islamic State (ISIS/ISIL) to intensify their calls for Muslims to engage in jihad and become martyrs during Ramadan and this year has been no different. In an apparent response to ISIS’ Ramadan call to arms this year — urging Muslims to carry out terror attacks “to win the great award of martyrdom” during what a group spokesman vowed would be “the month of conquest and jihad” — the jihadist group has been linked to a wave of lethal violence, including at least two major attacks. One of those terrorism incidents took place June 12 in Orlando, FL and left 50 people massacred (including the gunman) and 53 others wounded. It has been deemed the deadliest terrorist attack in the U.S. since 9/11. The other, which involved multiple suicide bombings, took place Tuesday in Turkey’s capital Istanbul, leaving 42 dead of at least ten different countries and at least another 239 injured. It has been labeled the bloodiest attack in Turkey this year by jihadists. Turkey is part of the U.S.-led coalition combating the terrorist group in Syria and Iraq.